Haul-Away of Debris, Garbage, Etc. Integrity: Please see references. We take nothing, we account for everything. We do NOT buy and sell anything on the side, this is our business. We feel it is a conflict of interest to conduct sales if you purchase for yourself. 1. The family (you) determines what you want to keep from the estate. 2. We meet and determine the best course of action for the remains, an on-premise estate sale or discuss options. Our % only fee is determined by the volume of items & amount of work needed to bring you top $ in the time frame required from your estate. 3. We uncover, clean, price and display all items. Personal items returned to the family. 4. Efficient cleaning, displaying and pricing of all items, advertising via a huge e-mail list, local internet and AMAZING signage to bring the PUBLIC to your estate sale! On-premise estate sales run in a professional fair and firm manner- No price negotiations, scheduled mark-downs. 5. 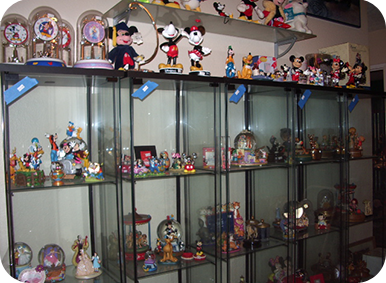 The estate sale is held for one or two days, typically 90% of household is sold to the public. 7. Remains from the estate sale are bagged, boxed and donated to Charity, a receipt is given in family's name- or buyout/cleanout service (family has choices). 8. We leave home in broom clean condition clear of all items possible. 9. Hazardous waste and further removal of debris offered at below-market rates.